A light into the dark manipulation of culture, freedom, and language. 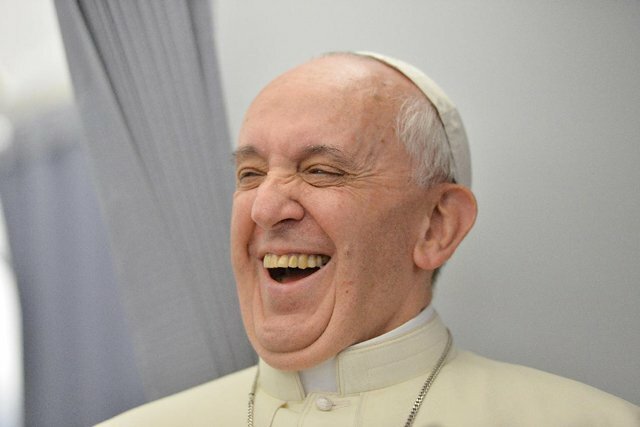 A reporter asked Pope Francis about a Vatican monsignor named Battista Ricca who allegedly engaged in homosexual relationships years ago while living in Latin America. Pope Francis answered simply, “If a person is gay and accepts the Lord, and has good will, who am I to judge them?” While the words of Pope Francis are accurately reported, the implications made by gay-friendly media are false. The only news is that Pope Francis’ remarks exposed the long-standing lie propagated by gay activists and proxies in the media that the Catholic Church hates homosexuals (and women). In Christendom, accepting Christ and being of good intent carry expectations. In the fullest sense, this means rejection of sin and avoiding the near occasions of sin, which by extension also means rejection of active homosexuality in all of its forms and implications. So what, then, is the media (dis)missing? Sexual sin is still sin. As the Holy Father went on to confirm, “The tendency [to homosexuality] is not the problem . . . they’re our brothers.” The Catholic Church teaches acceptance of sinners and forgiveness of sin; not acceptance of sin. The media routinely exploits the meaning of a simple statement, includes 'facts' that cannot be checked, or exaggerates conclusions from research when it benefits its LGBT friends. A 1993 study by Dean Hamer and his colleagues claimed to find evidence of a gay gene. Proof of this gene’s existence was splashed across front pages and covers of major media nationally, partly because it buttressed the civil rights arguments that homosexuality is innate, like race or gender. The media stories went much farther than even Hamer claimed. But when George Rice, a neuroscientist at the University of Western Ontario, refuted Hamer’s findings completely, nary a word was reported. Over the years, it has been common for a gay-friendly media to mention in a report, as a matter of fact, that some foreign culture or ancient society not only sanctioned but elevated homosexuality as divine. Before 9/11, some activists went so far as to claim that Islam embraced homosexuality. Hard to believe today, but in the Golden Age of Hollywood, conservatism reigned. That didn’t stop Home Box Office from making the "documentary" The Celluloid Closet. The producers purported to document that, even in ultra-conservative Hollywood in the 1950s and early 1960s, movies were "coded" with subtle homosexual shadings and nuances. When pressed by the Television Critics Association, the producers admitted they had no documentation—no director's notes or producer's memos—to support their theory. Nevertheless, the “documentary” aired in 1996 leaving the audience with the impression that icons like John Wayne, Charlton Heston, and Doris Day winked at homosexuality—maybe even approved. In essence, celebrity endorsements. Many may identify with Lively’s slippery slope concern. For decades, gay activists have worked hard to undermine the moral authority of churches by painting orthodox Christianity as a homosexual hating primeval obsolete backwater. But, the pontiff endorsed nothing new nor crossed a theological boundary. Matthew 7:1 is still in force: “Judge not lest ye be judged.” Pope Francis simply reminded us (and the media) of the boundary between discerning sin and judging it. Perhaps many in the media would be less startled in the future if they dedicated more time to understanding and objectively reporting on the teachings of the oldest and largest Christian church in the world rather than demonizing them for political purposes. Inappropriate comments subject to removal at the sole discretion of UntwistedTruth.com.